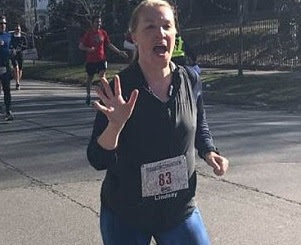 A married mother-of-three who had been running in a Pennsylvania half marathon died after completing the race.Lindsay Doherty, 36, had made it to the end of 13.1-mile race on Sunday when she suddenly collapsed. The mom had taken up running a few years ago to train for Scranton's Half Marathon. Emergency medical workers rushed to assist Doherty and attempted to resuscitate her, but she died a short time later at a local hospital.